Prince Harry says he and Meghan Markle hope to start family in the future. Harry said "one step at a time" when asked about plans for having children. He has said in the past that he wants to have a family. Harry's older brother Prince William already has two children and his wife Kate is pregnant with their third. Meghan Markle says she was completely unprepared for the level of media interest in her and Prince Harry, and found focus on her mixed-race heritage "disheartening." In the couple's first joint interview, Markle said that "as naive as it sounds" she had no idea how intense interest would be in her relationship with the prince. She says the couple faced "a lot of mistruths" and she quickly decided not to read any press reports about them. She said "of course it's disheartening" that there was focus on her background as the daughter of a black mother and a white father. Harry said it's "not easy for anybody" to join the royal family but he and his fiancee plan to tackle the future as a team. The prince and Markle plan to marry in the spring. Meghan Markle's TV dad approves of her engagement to Prince Harry. Actor Wendell Pierce plays the father of Markle's character on TV's "Suits." He congratulated the couple Monday on Twitter, writing, "Harry, you have her TV Father's blessing." The creator of the USA Network series also extended warm wishes for Markle and Harry on Twitter. Aaron Korsh wrote, "Wonderful news. I wish you both a lifetime of happiness." 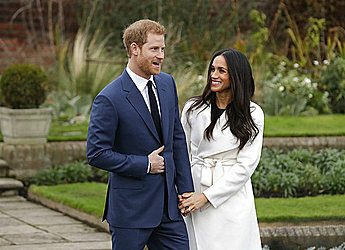 Prince Charles announced the couple's engagement on Monday and said Harry and Markle will marry in the spring. Meghan Markle's engagement ring includes two diamonds that belonged to Princess Diana. Royal officials say Prince Harry designed the ring himself. It features two diamonds from the collection of his late mother, who died in 1997 when Harry was 12. They flank a central diamond from Botswana. Harry has visited the African country many times since childhood, and has spent time there with Markle. The stones are mounted on a band of gold, and the ring was made by Cleave and Company, official jewelers to Queen Elizabeth II. A beaming Markle, in a white belted coat, posed for photographers wearing the ring on Monday, hours after the couple's engagement was announced. Harry, wearing a blue suit and tie, said he was "thrilled" and said details about his proposal will come out later. He was then asked if the proposal was romantic, and he replied: "Of course!" Markle, who said she was "so happy," was wearing an engagement ring for the first time in public. She held Harry's hand and rubbed his arm. Senior British royals, political leaders and religious figures are congratulating Prince Harry and Meghan Markle on their engagement. Prince William and his wife Kate say they are excited for the couple. They say "it has been wonderful getting to know Meghan and to see how happy she and Harry are together." Prime Minister Theresa May offered her "very warmest congratulations," wishing the couple "great happiness for the future." Archbishop of Canterbury Justin Welby, who heads the Church of England, said he was "absolutely delighted to hear the news" and wished the couple "many years of love, happiness and fulfillment." Meghan Markle's parents say they are happy and excited about their daughter's engagement to Prince Harry. Thomas Markle and Doria Ragland say their daughter "has always been a kind and loving person. To see her union with Harry, who shares the same qualities, is a source of great joy for us as parents." In a statement, Markle's parents say they wish the couple "a lifetime of happiness and are very excited for their future together." Meghan Markle was raised in the Los Angeles area. Her father is a Hollywood lighting director, her mother a yoga instructor and psychotherapist. Britain's royal palace says Prince Harry and actress Meghan Markle are engaged and will marry in the spring of 2018. 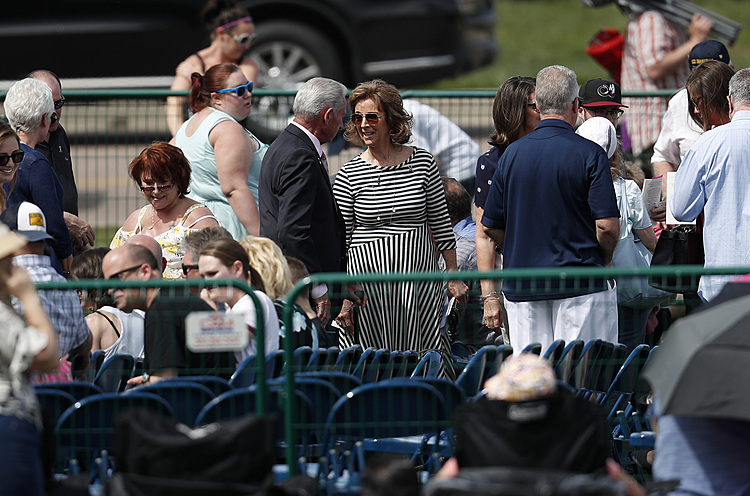 The announcement came Monday from the office of Harry's father, Prince Charles. The announcement says the couple became engaged earlier this month. It says 36-year-old Markle has met Queen Elizabeth II, and Harry also has received the blessing of Markle's parents. Harry, 33, is fifth in line to the British throne.